JSON Web Token is a standard used to create access tokens for an application. It works this way: the server generates a token that certifies the user identity, and sends it to the client. The client will send the token back to the server for every subsequent request, so the server knows the request comes from a particular identity. This architecture proves to be very effective in modern Web Apps, where after the user is authenticated we perform API requests either to a REST or a GraphQL API. Who uses JWT? Google, for example. If you use the Google APIs, you will use JWT. A JWT is cryptographically signed (but not encrypted, hence using HTTPS is mandatory when storing user data in the JWT), so there is a guarantee we can trust it when we receive it, as no middleman can intercept and modify it, or the data it holds, without invalidating it. That said, JWTs are often criticized for their overuse, and especially for them being used when less problematic solutions can be used. You need to form your opinion around the subject. I’m not advocating for a technology over another, just presenting all the opportunities and tools you have at your disposal. What are they good for? Mainly API authentication, and server-to-server authorization. How is a JWT token generated? We set the signing algorithm to be HMAC SHA256 (JWT supports multiple algorithms), then we create a buffer from this JSON-encoded object, and we encode it using base64. The partial result is eyJhbGciOiJIUzI1NiIsInR5cCI6IkpXVCJ9. Next we add the payload, which we can customize with any kind of data. There are reserved keys, including iss and exp which identify the issuer and the expiration time of the token. In this case the partial result is eyJ1c2VybmFtZSI6IkZsYXZpbyJ9. We use the secretKey secret key and create a base64 encoded representation of the encrypted signature. This is probably the only sensible way to use JWT. A common scenario is: you sign up for a service and download a JWT from the service dashboard. This is what you will use from now on to authenticate all your requests to the server. 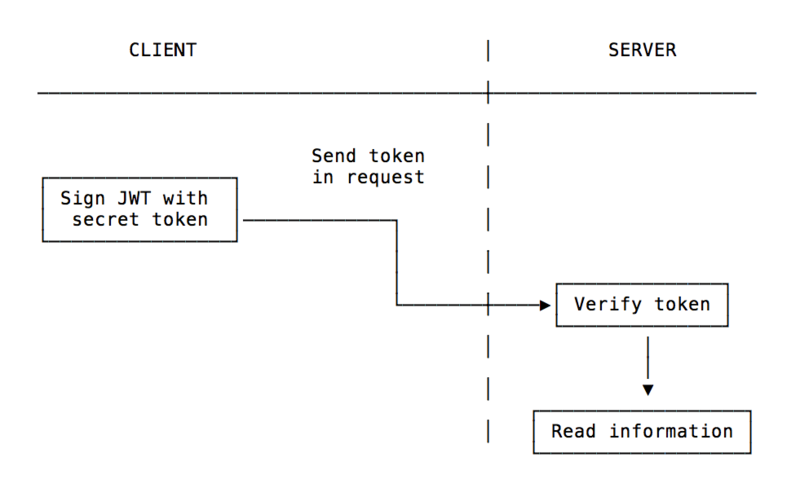 Another use case, which is the opposite, is sending the JWT when you manage the API and clients connect to you, and you want your users to send subsequent requests by just passing the token. Depending on the language and environment you use, you can choose from a number of libraries. The most popular are listed in the jwt.io website. You should not use JWTs for sessions. Use a regular server-side session mechanism, as it’s much more efficient and less prone to data exposure. There is a lot of literature covering JWTs on the internet.